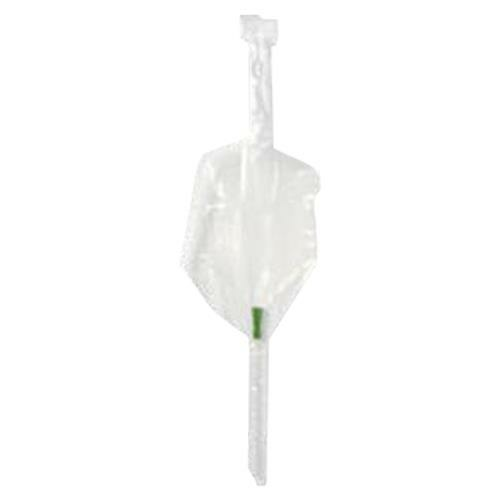 Wellspect LoFric Nelaton Pediatric Hydrophilic Intermittent Catheter is an all-purpose catheter that is ideal for both busy hospitals and for patient use at home. It requires clean water for activation of the Urotonic Surface Technology low-friction coating on the tubing. - All catheters are sterilized by ethylene oxide gas. - Information about the recommended best before date is printed on the package. - Hydrophilic surface coating: Polyvinyl pyrrolidone (PVP) and sodium chloride (NaCI). - Catheter: Polyolefin-based elastomer, POBE (Nelaton). Polyvinyl chloride, PVC (Tiemann). - Wash your hands thoroughly. - Peel the packet open at the funnel end and fill with water (at home from the cold tap, in hospital sterile water or saline). - Remove the sticker at the top of the pack to reveal the selfadhesive patch and attach the pack to a dry surface. - Remove the catheter from the packet. - Carry out the catheterisation procedure as instructed. Dispose of the catheter sensibly after use.